Love it or hate it - it's a fab challenge and really tested the DT this week! 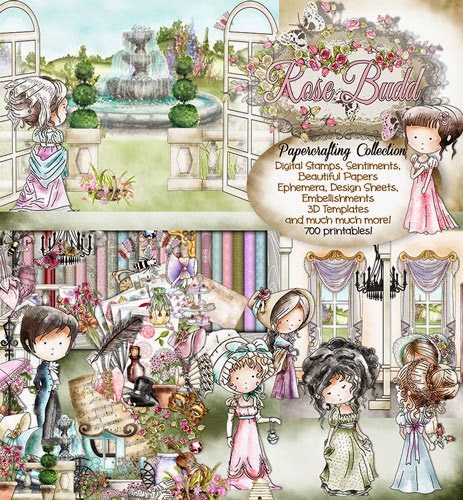 Of course there is the fantastic 'Rose Budd Collection' which is all about the beauty of that era and really came in handy for some of the team. Remember this collection is available on CD or as digi download!! You have until 14th October to enter and the winner will be announced on 21st October, so lots of time to get your entry in. All we ask is that you follow the theme and the simple rules that can be found in the side bar. The winners from week 36 Monochromatic can be found at the bottom of this post. Crafting Vicky I don't do a lot of Vintage... so for my card I decided to do a duo of things that I don't do a lot of... which is manly cards and vintage/retro. I decided to use the fabulous Work and play collection 2 with the office colored and the papers that go with it! I mean isn't it obvious that we would all like a day off?!? 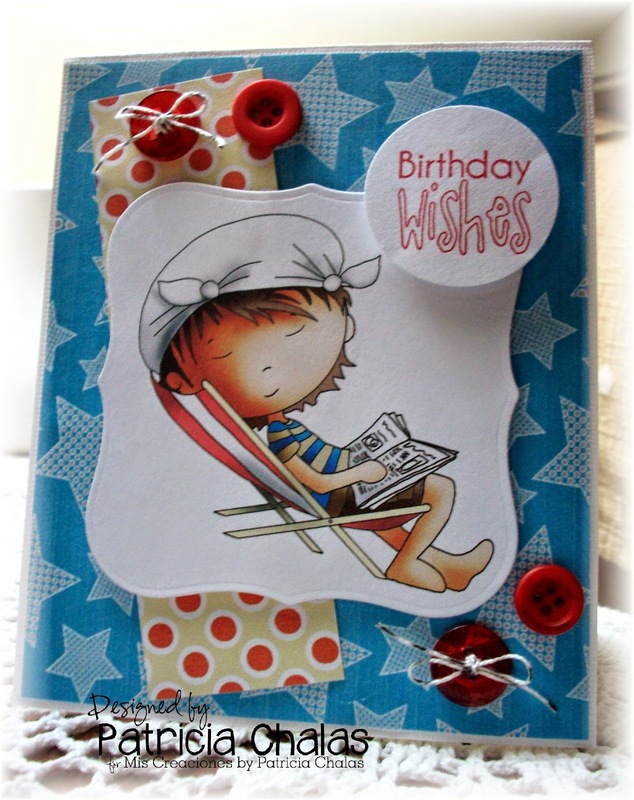 So to me this little guy looked perfect for the 50s and wanting to have a little holiday so his little paper could be saying that it's a day off :) How fabulous would that be?!? 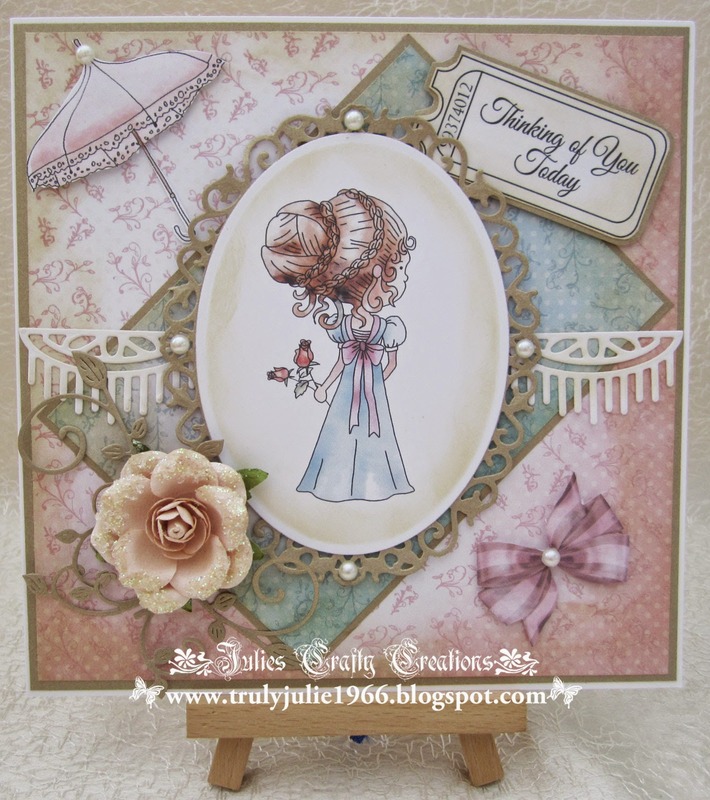 Wendy - For this weeks vintage challenge, I didn't want to go all lacy and pretty, I wanted to embrace the idea of the old fashioned seaside and the Swimmer from Work & Play 4 fitted perfectly. It can now also as purchased an individual digi here. The backing paper is from the Rose Budd Collection. Yvonne - Hello there! 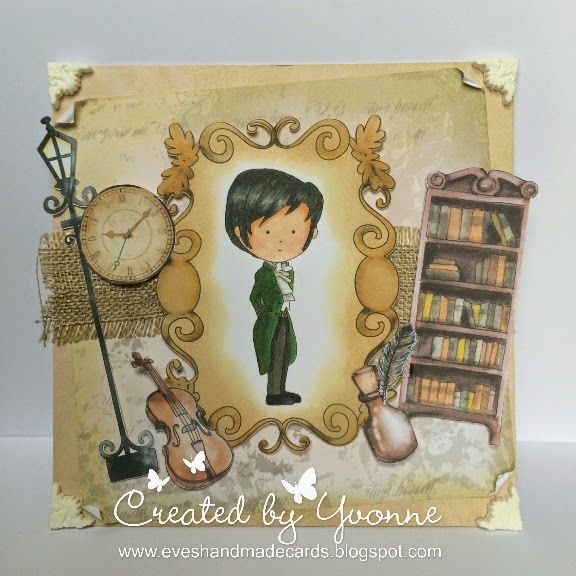 Well I decided to do a mans card for 'Vintage' and I chose to use 'Jeremiah' from the beautiful 'Rose Budd' Collection, which is available as a CDRom or Digi Download. The image, embellies and ephemera and papers are all from the same collection. I edged the papers with Distress Inks and used them on the frame also. I coloured Jeremiah with my Graph'It Markers. All I added was the burlap and the paper clay frame corners. Patty I don't do a lot of Vintage... so this card was a really challenge for me. 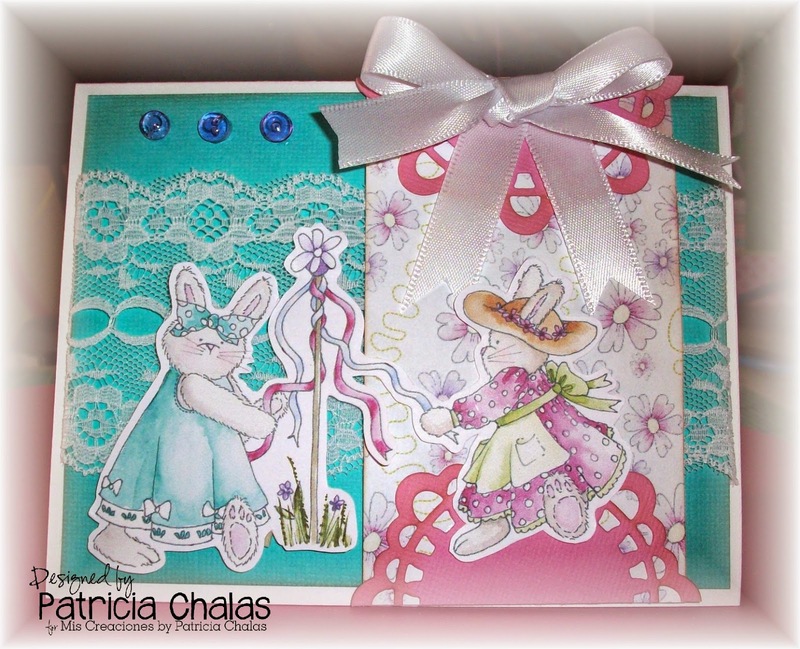 I decided to use the lovely Cherryblossom Lane Collection the cute rabbit friends and the flowery papers all from the collection. my card base is white and added a layer of aqua distressed the edges of all the papers and die cuts, use a piece of lovely and delicte white trim for the vintage look added the white ribbon and the purple drew drops to accent it. What do you think? to claim your prize of a free digi. 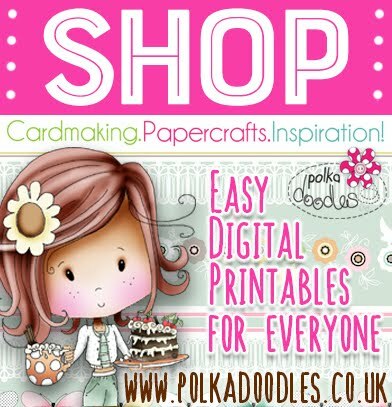 Also - make sure you pop over to the Polkadoodles blog today and see what the Digi Queens are up to - we hear there's a little freebie up for grabs! You have until 7th October to enter and the winner will be announced on 14th October, so lots of time to get your entry in. All we ask is that you follow the theme and the simple rules that can be found in the side bar. The winners from week 35 Travel/Holidays can be found at the bottom of this post. Anjie - I love buttons, I have jars and jars of them, I must have thousands of them! The cute image on my card is from the digi store and is called Piper Playing. She is coloured with my Graph'It Markers. 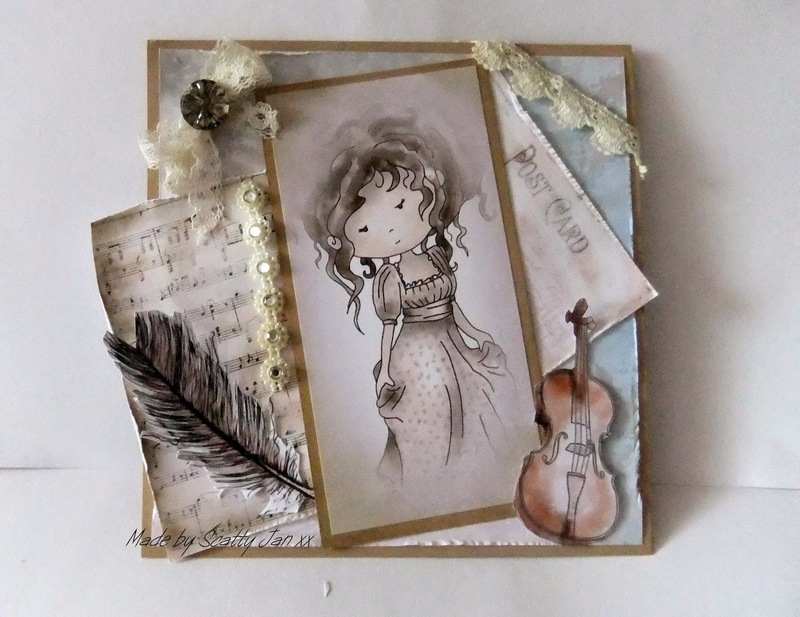 I have used paper and a sentiment from the Bonbon Belles CD, both of which fit perfectly with this theme. I have changed the colour in the MCS Elite program. I have then used a button embossing folder and finally added some real buttons. If you look closely you can see I have used a tiny button on Pipers braces! Scatty Jan I love buttons, one of my favourite embellishments. I have used 3 on my project the 2 little dotty ones on the shelf and the pink bee button under the shelf, how cute is that! 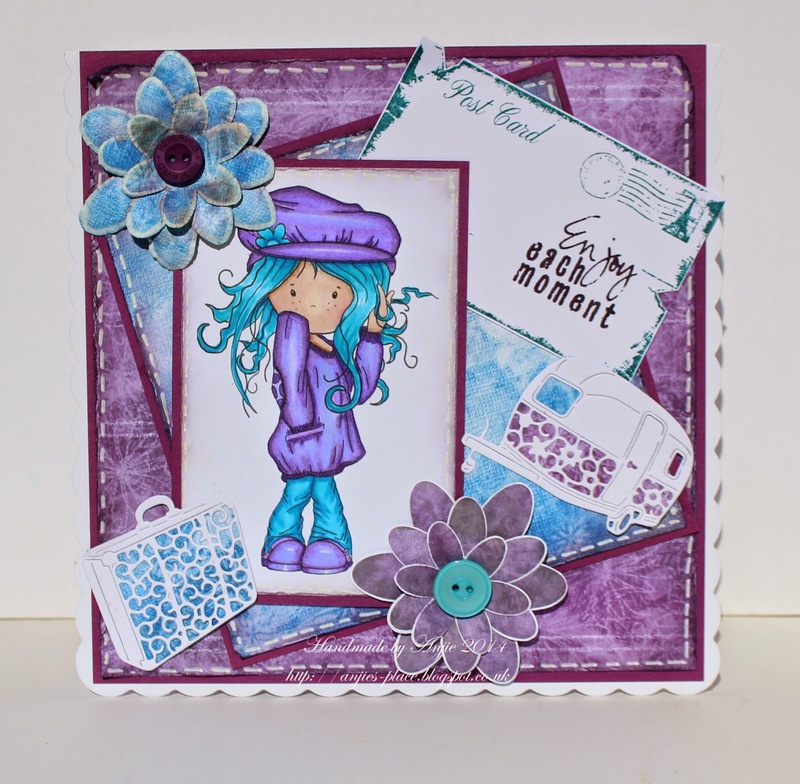 I have used the lovely digi image Camille Mum to be coloured with Graph'It markers. The papers are from the Pretty Sweet collection, and the little birdy at the window and the bears are from the Winston collection. Crafting Vicky Like Scatty Jan, I just think buttons are just the greatest embellishment ever! So when I saw that this was the challenge I was really really happy :) I decided to go with humor for this challenge and used a great image called Cleaning Lady as well as the paper from the great Work and Play collection 6. Adn I'm saying it's humorous because, well don't know about you but I really really HATE doing the housework... So hope you enjoy my card... it's rare to find vacuum paper :) So that's a really special set!!! 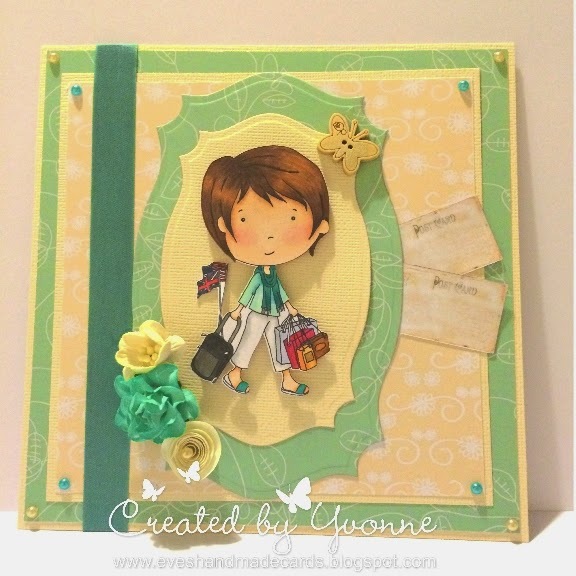 Wendy - I raided my button box for this weeks challenge, was really happy when I found the butterfly button and just HAD to use it. I've used Amelia Contemplating, she's available on her own digitally or as part of the Pretty Sweet CD. The papers are from the same collection and mounted onto black card. Yvonne - Hi guys! Really enjoyed this weeks challenge, I used 'Maddie Twirling Curls' she is coloured with my Graph'It Markers, you can see the range here. The papers I used are from the 'Nikky Digi Bundle'. The buttons are from the new 'Winston' collection. Patty I just think buttons are just the cute embellishment ever! 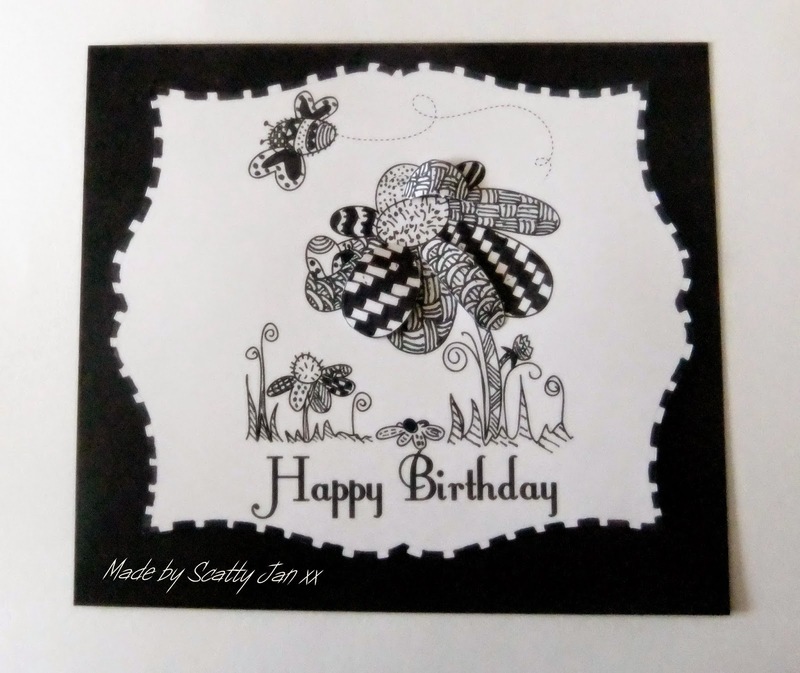 I decided to make a cute Birthday card for my kid friend and I just found this image boy from Work and Play collection 3. all papers are from the same collection the sentiment is from Stamp Doodles Set and red button with white and black twine. what do you think? Isn't cute or not?? please email us at sales@polkadoodles.co.uk quoting DCwk38001wk35 to claim your prize of a free digi. Have you joined our two Facebook pages for sneaky peeks of new products, inspiration from the DT and a place where our fabulous customers share their very own makes with us? Make sure you sign up on BOTH groups because there are often great freebies and discount codes which don't appear here on the blog! Simply enter code DC179 at the checkout to get your discount! It ends at midnight today so don't miss it whoop whoop! We have a ton of new digis added to the store this week so make sure you take a look and grab some bargains! To enter the challenge you can make anything you like, from a card to a home décor item and anything in between and you don't need to use our products to enter. You have until 30th September to enter and the winner will be announced on 7th October, so lots of time to get your entry in. All we ask is that you follow the theme and the simple rules that can be found in the side bar. The winners from week 34 Blooms can be found at the bottom of this post. 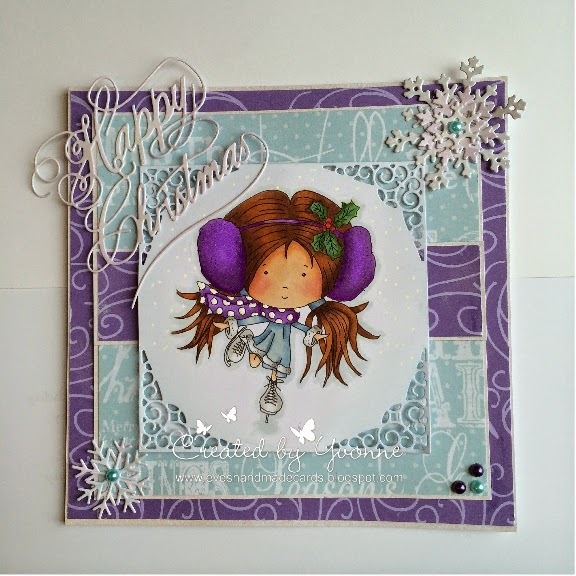 Crafting Vicky - For this card I used the fabulous set Christmas Joy bundle that I arranged in a word document to be in purples and blues as I wanted for this challenge! I totally adore digis as they are so versatile!!!! Yvonne - For this weeks challenge I used the fantabulous 'Work & Play; Festive Hollybobs Collection' which you can get as a CDRom or download the digi collection. 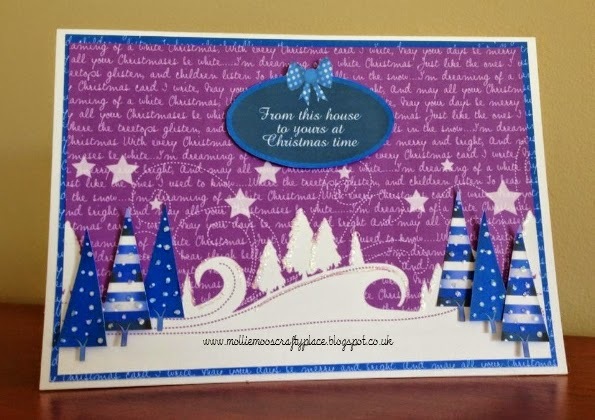 This weeks theme is Christmas in blues & purples - and there are sooooo many papers in this collection, you can do this challenge no problems at all. I used 'Skating Fun' and she is in the collection or you can get her as a polymer stamp, click here to shop! She is coloured in with my Graph'It Markers, which never fail me. I cut her out with 'Westminster' Tattered Lace die and edged round it with 'Ultramarine Tint' Pan Pastel. I cut some Tattered Lace snowflakes and also one of the new Tattered Lace greetings as it reminded me of the marks left by skating on the ice. Markers used are listed on my blog. Wendy - I've stepped slightly out of the box this week (no pun intended), I've made 4 christmas tree baubles and a presentation box. All the papers for the baubles and the box lid are from Festive Holibobs and have resized and recoloured in CAP2. The image is also from Festive Holibobs, printed out 5 times and decoupaged, she is also available as a stamp here. Sharon - Christmas in blues and purples this is from the Xmas joy bundle I have recoloured the papers, sentiment and elements using a graphics program. Fussy cut the trees and mounted them with foam tape. I have then added glitter to the trees and background to give them a frosty look. 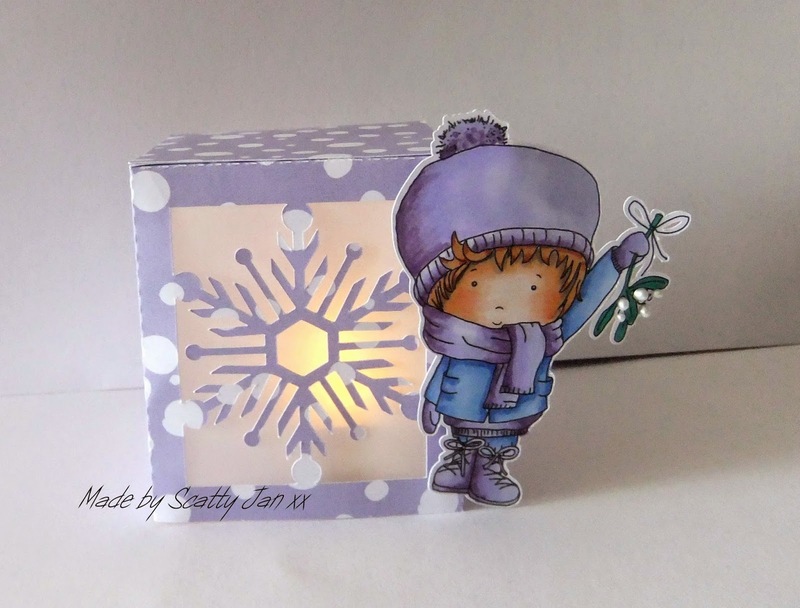 Patty - For this weeks challenge I used papers and image from the Magical Winter I collection. 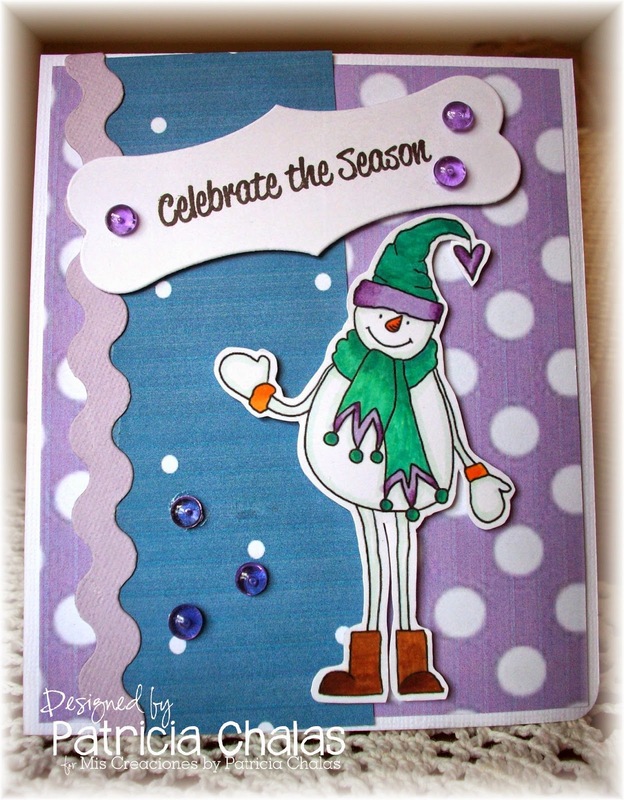 This weeks theme is Christmas in blues & purples there so many papers to choose from this collection...for the image I choose the tall snowman I have found him so cute and I colored him using my copics... I add some rick rack border to the front and the sentiment i used memento black ink and accent it using some purple doddle dewdrops. 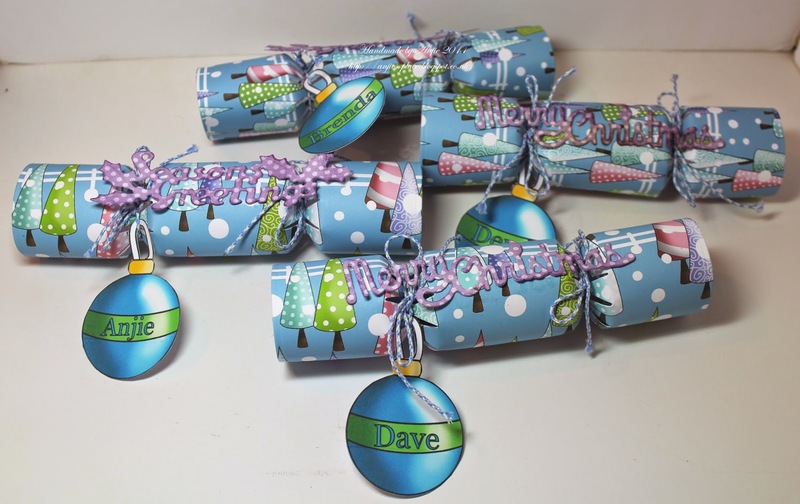 Anjie - I decided to make some table place cards, but instead of the usual I decided to do it as a cracker and put a personal treat inside each one that I know they will love! I have printed papers and embellies from the Angelberry Christmas CD onto card stock and used a die to cut the crackers out. I took the baubles into MS Word and added the names onto them. I finished them off by tying them closed with coordinating bakers twine. please email us at HERE quoting DCwk37001wk34 to claim your prize of 3 free digis. Well done everyone go grab your badges from the side bar. Thanks for joining us - we look forward to seeing your entries!! 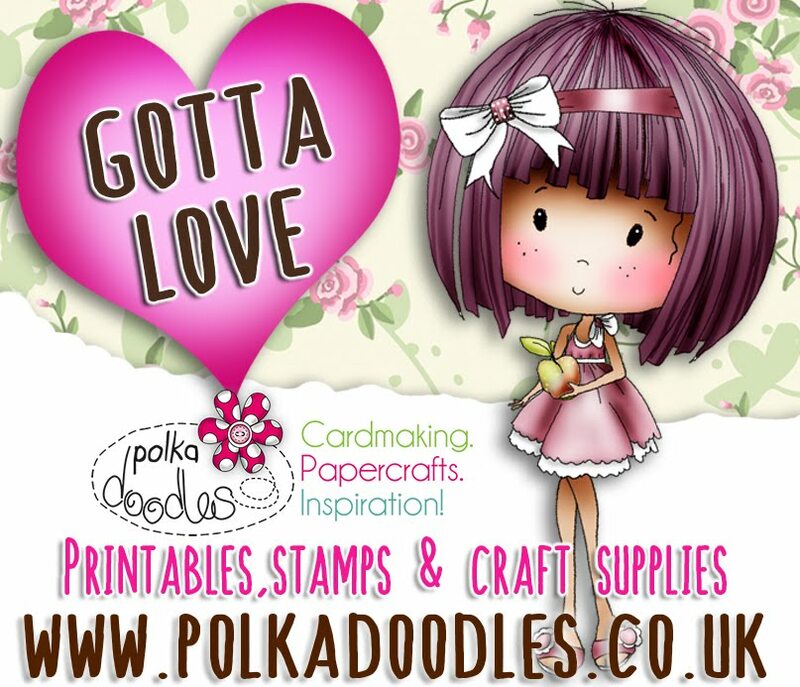 Did you manage to catch the Polkadoodles show on Sunday on Create and Craft with the fabulous new Winston CD? If not you can catch the show HERE and the CD is HERE. Also, don't forget it's the Digi Queens Day over at the Polkadoodles blog so if you want a heap more inspiration than you can poke a stick at head over there after you join in the challenge! The link is at the bottom of this post! To enter the challenge you can make anything you like, from a card to a home décor item and anything in between. If you're confused about what Monochromatic means - it can be both black and white or it can be tones of a single colour, it's up to you. Remember you can use any products to enter, it doesn't have to be a Polkadoodles make! You have until 23rd September to enter and the winner will be announced on 30th September, so lots of time to get your entry in. All we ask is that you follow the theme and the simple rules that can be found in the side bar. You can see last time's winners at the end of this post! Crafting Vicky - For my monochromatic look I went with a back to school feel :) I figured I would be feeling kind of pensive if I was returning back to school... that's what my daughter looks like lol So this all being said I used the great image from Pretty Sweet Collection the paper is also from that set. Sharon - For this challenge I decided to do something completely different. 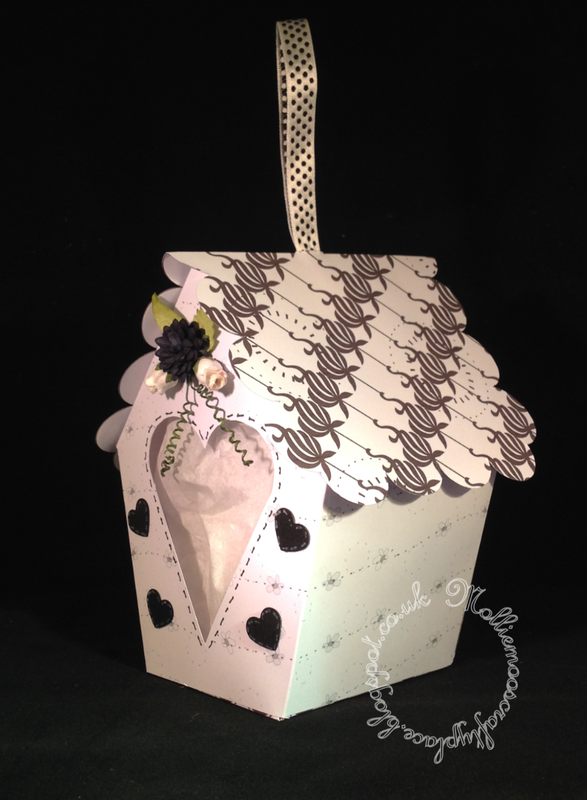 On the Candy Doodles Collectors edition there is a fab template for a sweet little bird house so I printed this out onto card I chose some of the gorgeous papers from the cd which come in an array of colours (as this is a monochromatic I decided to stick with black and white) and printed these onto back of the templates. One of the papers was recolored with a graphics program but there are some lovely black and white ones on the cd. I followed the easy instructions and made up the bird house, I have left one side if the roof open as I have stuffed it with candy! A few black and white flowers from my stash and hearts cut from black card just finished it off. Yvonne - Hi there! So this week is monochromatic week and I decided to use Nikky's papers to be the focus of the card. I used papers from the beautiful Rose Budd Collection, the butterfly is from the Flowers & Leaves Collection. 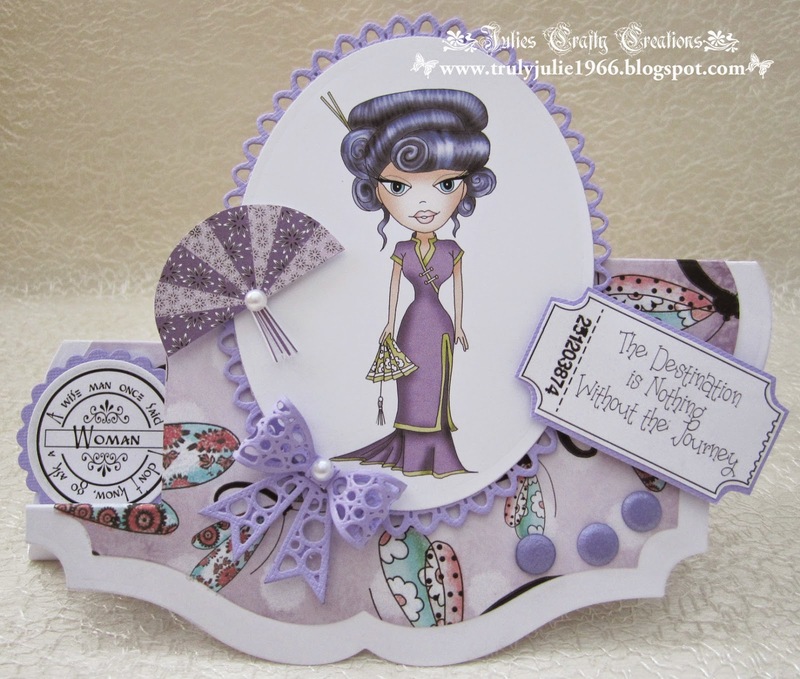 The sentiment is from Dollie Goes East Collection. All bundles are available from the Digiworld Downloadables section of the store. Patty - Hi there! 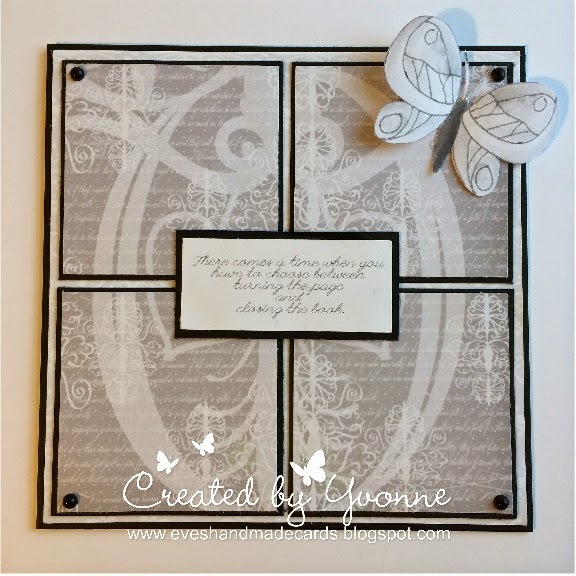 this week is monochromatic and I decided to use Work & Play 3 collection papers to use on the background of the card. 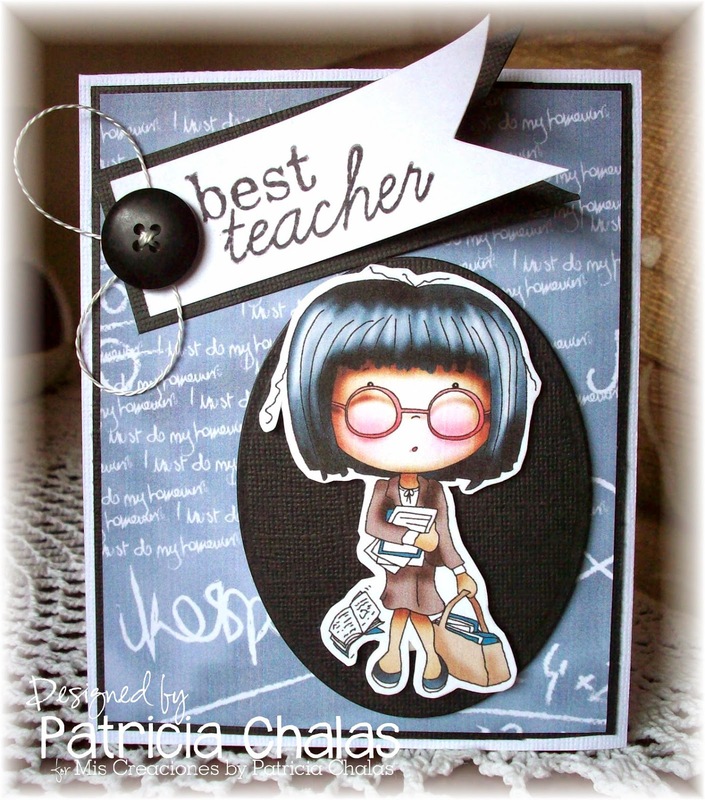 I used Teacher image as the main focus also from the collection. The sentiment is from and unknown that i had on my desk then added the black med button and accent with some white twine. please email us at sales@polkadoodles.co.uk quoting DCwk36001wk33 to claim your prize of a 3 free digis. 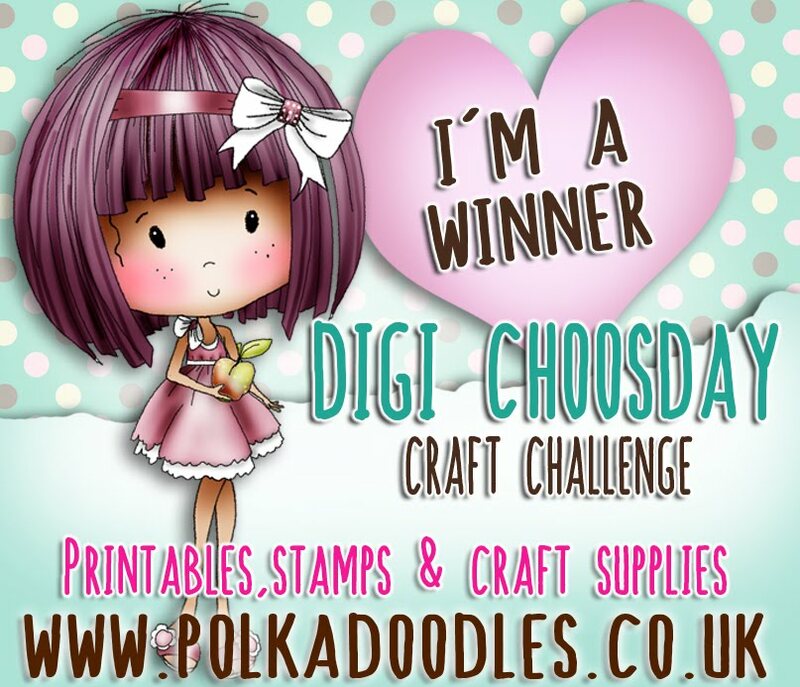 Now, before start this week, please remember to head over to the Polkadoodles blog after you read this post and add your challenge entry to see what the NEW Digi Queens have for us, you'll be in awe at their awesome colouring skills - the link is at the bottom of this post! So we would like to see projects with either holidays (including Holiday events like Christmas too!) or travel on your projects, whether they are the main focus or added embellies. To enter the challenge you can make anything you like, from a card to a home décor item and anything in between - you do NOT have to use our products to enter! You have until 16th September to enter and the winner will be announced on 23rd September, so lots of time to get your entry in. All we ask is that you follow the theme and the simple rules that can be found in the side bar. 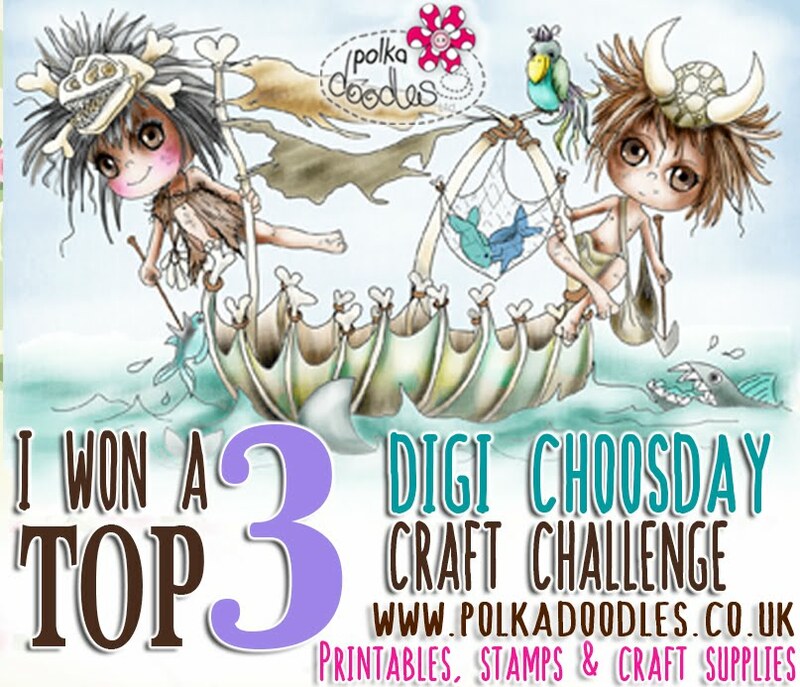 The winner will receive 1 free digi image from the Polkadoodles digistore. 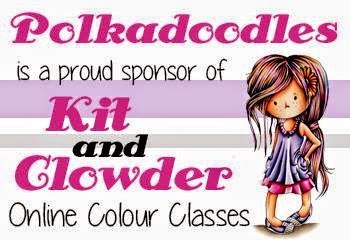 Just before we get to the challenge inspiration, we need to remind you that we have a big promotion going on over at Kit and Clowder's website and on Facebook so make sure you go and check it out - there's freebies and a great discount code for grabs if you sign up! Right time to see what the team have for us! 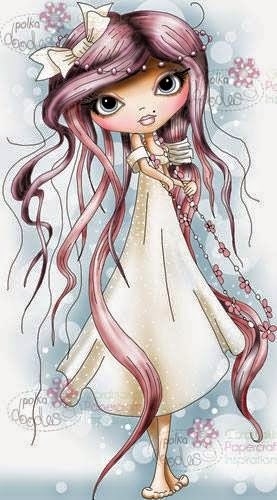 Anjie - When I saw the new digi images in the Polkadoodles store one of them reminded me of me so much I had to have it. Why did it remind me of me I here you ask, well once when I went to visit my friend in Spain, she didn't recognise me as I had died my hair and I was wearing a hat! So the image is Maddie Twirling Curls and here she is! I chose these two colours as they are my favourite colours and my hair used to be that shade of blue and at the moment is purple! Maddie is coloured with my Graph'It markers and the papers and flowers are from the Dollie Goes East collection download . The postcard stamp and message are from the Postcard stamp set. Scatty Jan I loved this challenge , and making my little case. 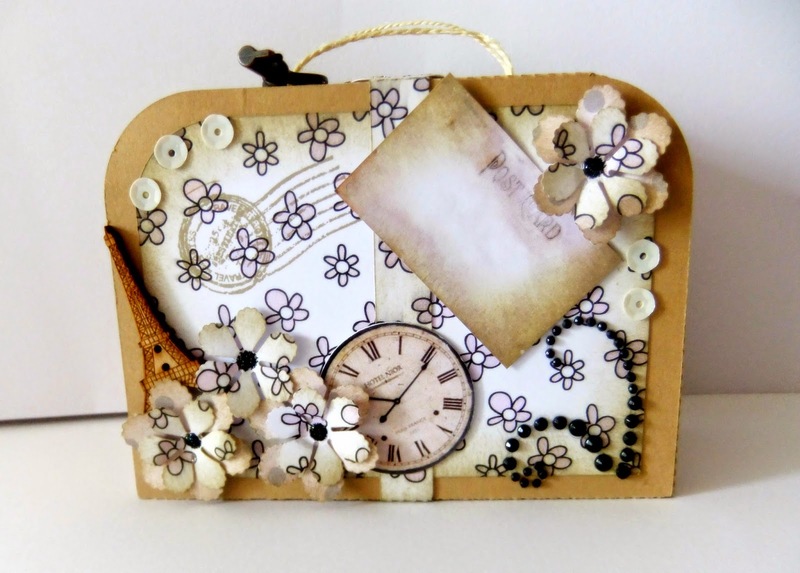 I used two of the papers from the digi bundle Kath (flowers were punched from the same)- I used the postcard and clock from the Rose Budd Collection. Patty - Oh boy! 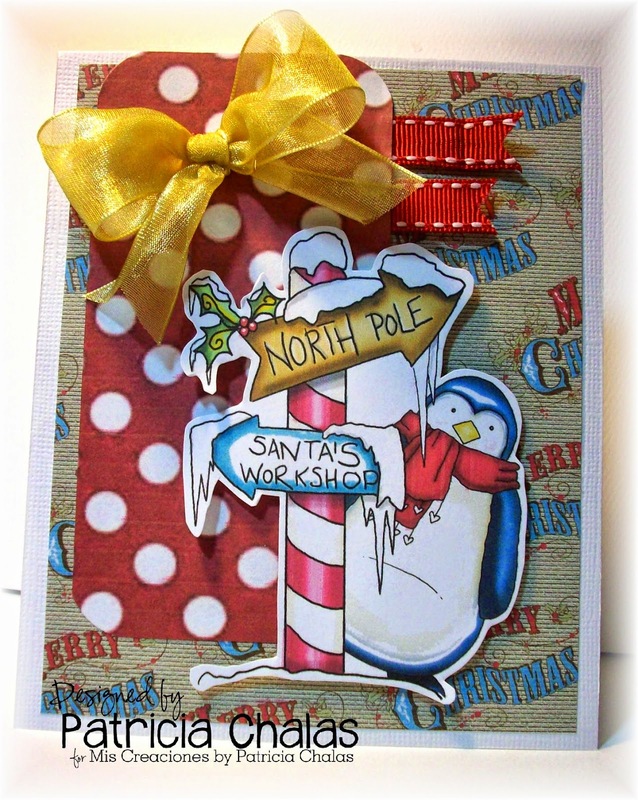 I just started making Christmas Card so I made a very cute Xmas one... using the lovely CD collection Magical Winter I . I printed out the cute Santa's Workshop Pinguin and matching it up with some Kraft and Red papers from the collection. I added the 2 red dotted ribbon on top in the middle between both papers.... maybe you can't see it but I add some shadow to the image using my prisma colors and to finished off the Bright Gold satin ribbon on the left top corner. What can I say I love Chrismtas cards, so I started early this year!!! 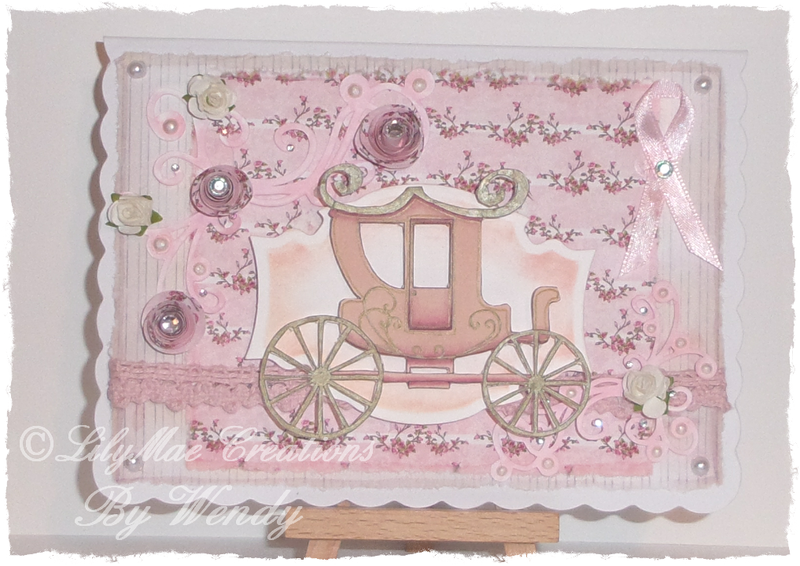 Wendy - As soon as I saw this weeks challenge, I knew which image I wanted to use, the Carriage from the Rose Budd Collection. 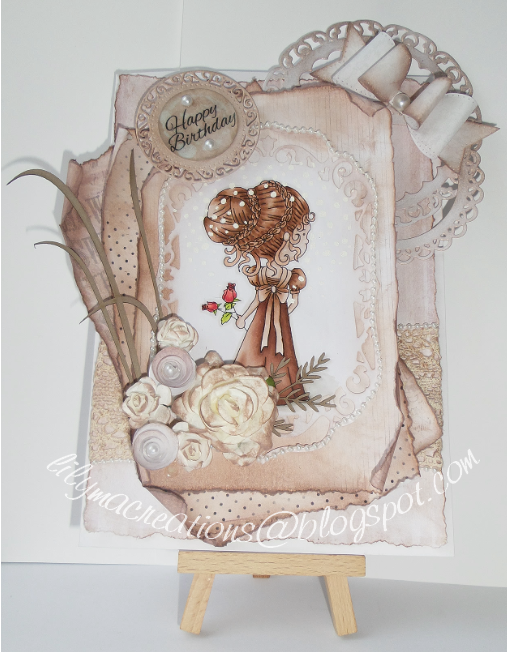 The backing papers and the paper used for the flowers are also from there. I've used the flourishes from one of the new cutting files and resized them on the Silhouette. Yvonne - Hello there everyone! Well this weeks theme is Travel/Holidays, well I decided to use Enfys Digistamp Bundle from the Digiworld Downloadables section of Polkadoodles. This is amazing value for money this bundle, you get the image and 5 papers!! I chose to use two of the papers for Enfys. I decided that this image suggested that she had been traveling and has had a good time by the looks of all them shopping bags!!! The image is coloured with my Graph'It Markers, a full list of colours are on my blog. The postcards are embellishments from the beautiful Rose Budd Collection. Some ribbon, flowers and pearls, topped of with a wee wooden butterfly embellishment. Sharon - I have just returned from my vacation so this weeks theme travel/holidays seems so fitting. 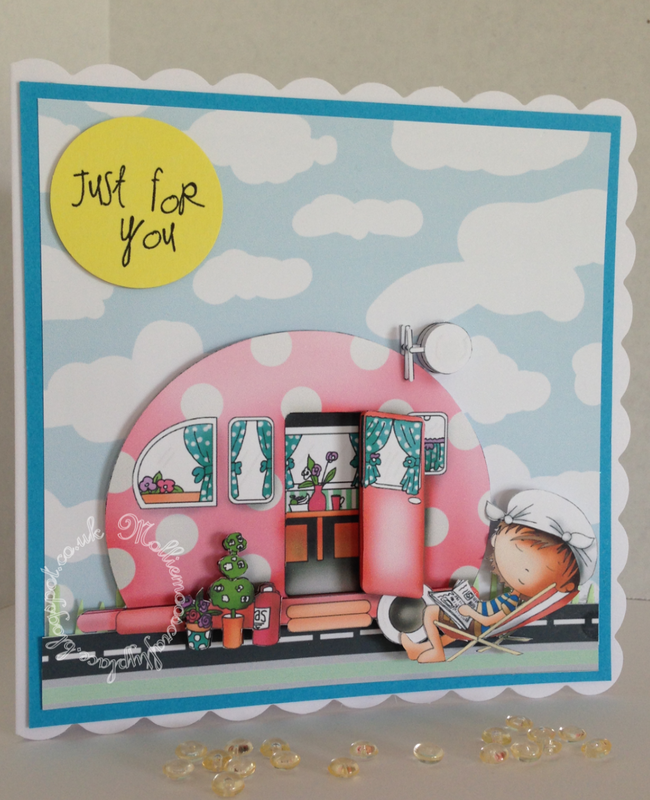 I have used the caravan section from Work and Play 3. I printed out the matching cloud paper and matted it onto some blue card. I then used a strip of the road paper and die cut some grass to finish my background. The caravan was the printed 4 times and I have cut various sections of it to decoupage it. The little character with his knotted hankie sits neatly at the front whilst I have printed one of the sentiments onto yellow card as the sunshine! please email us HERE quoting DCwk35001wk32 to claim your prize of a 3 free digis. Don't forget to now hop on over to the Polkadoodles blog to see the first post from Polkadoodles Digi Queens!